Black holes are one of the most fascinating and terrifying entities in our Universe. Here, we break down exactly what a black hole is and every type known to science. Black holes are a fundamental component of the cosmos and of the laws of physics. Today, we give you a rundown of all the known types of black holes in the Universe. The concept of black holes first showed up as math oddities in the General Relativity equations which Einstein and other scientists, like Karl Schwarzschild, worked on throughout the 20th century. However, speculations about the existence of such bizarre astronomical objects date back to the end of the 18th century. Both John Mitchell (in 1783) and Pierre-Simon Laplace (in 1796) predicted the existence of “dark stars”, stars so massive and dense that nothing can escape from their surface unless with a velocity greater than the speed of light. As to the name of “black holes” itself, it wasn’t until 1967 that physicist John Archibald Wheeler (1911 – 2008) first coined the term – to whom, we also owe the term “spacetime”. Now, scientists are certain that the Universe is filled with invisible black holes, thanks to mathematical predictions first, and then to indirect observational evidence. Astrophysicists also know that not all black holes are equal; they come in a variety of masses, properties, and formation origins that add to their puzzling mystery. Astrophysicists think that the vast majority of black holes are of stellar origin, that is to say, they are born from the gravitational collapse of a massive star. Stars spend their lives resisting their own gravity, which tends to compress it at its center. When all the thermonuclear fuel in the heart of the star is exhausted, the gravitational collapse leaves behind extremely condensed bodies. For stars whose mass doesn’t exceed three solar masses, it’s more probable that white dwarfs or neutron stars will emerge from the ashes. On the other hand, when the star’s initial mass is greater than 40 solar masses, an extremely compact heart of degenerate matter develops, and a stellar black hole is born. In a very recent development however, we learned that it’s also possible that stellar black holes could come into existence over several stages. Read the link above to find out more about how this happens. It’s believed that the Milky Way could be harboring “a few hundred million” stellar black holes roaming around and growing in size as they devour surrounding matter. Stellar black holes pale in comparison to supermassive black holes, which are born after a similar gestation mechanism, albeit from a much bigger star. It takes the collapse of a star with millions, or even billions, of solar masses to spawn a supermassive black hole. Astrophysicists think that such humongous black holes lurk at the center of every galaxy, including our own Milky Way. Sagittarius A* is the name given to the 4-million-solar-mass black hole lying at the heart of our home galaxy. We’re dying to see a direct picture of a black hole, or of its event horizon to be scientifically exact, and we might be in for a treat soon. Astronomers working on the Event Horizon Project, using a virtual telescope that’s 6,200 miles in diameter, expect to get a photograph of Sagittarius A* before 2018 ends. First, astrophysicists thought that black holes came in only two size categories, stellar and supermassive black holes. Coming between stellar and supermassive black holes in size, intermediate black holes are the latest addition to the call list of these rogue cosmological bodies. Speculations about midsized black holes have been around for a while, but it was only a couple of years ago that scientists started accumulating evidence suggesting that they do exist. 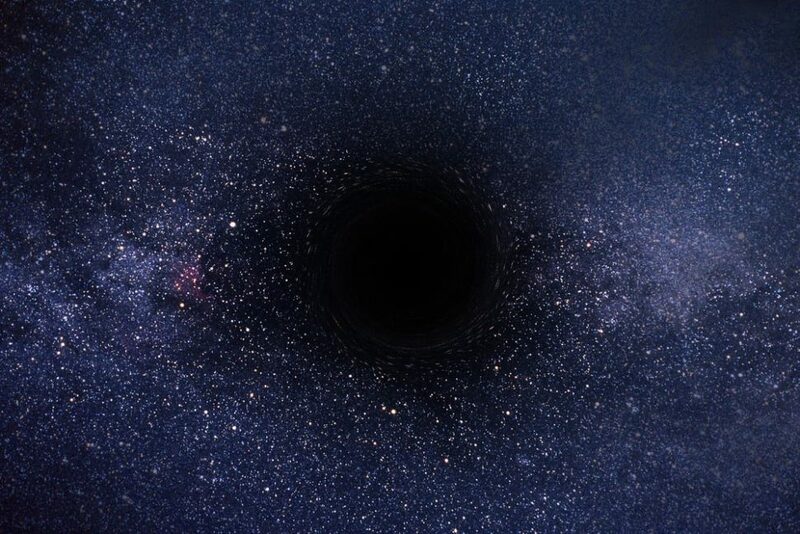 Last year, Keio University researchers spotted an object weighing in at around 100,000 Suns holding a giant cloud of gas together that they believe is a black hole. Further investigation of the object suggests it might indeed be a midsized black hole. This black hole, claiming the title of the second-biggest black hole in our galaxy, next to Sagittarius A*, proves the long-rumored existence of intermediate black holes. Scientists are debating the existence of black holes the size of an atomic particle, aka miniature black holes. However, micro black holes are more of a speculation as there’s still no evidence of their existence. Scientists think these tiny black holes were formed soon after the Big Bang, hence their other name: primordial black holes. Nothing much is known as to how these ancient black holes came to be or if they still exist, but researchers are investigating their hypothetical link to dark matter. Black holes are one of the most fascinating aspects of our Universe, and we still know little about them. However, new research projects and existing studies are bringing us ever closer to that event horizon. This will give us insight into not just how black holes work, but also how we all came to be. Speaking of size, in case you’re wondering, our sun is so small to form a black hole when it dies. In billions of years, our home star will most likely turn into a red giant. Do you think there are any other types of black holes hiding in our Universe?